What does it mean to be a professional photographer? In this list, some things may merely be my opinion, some are more factual, but these points are important to me as a professional photographer striving to bring excellence to my business. 1. NO excuses. This one is HUGE to me. I don’t care if your dog got ran over this morning (and I love my dog! ), you need to fulfill your obligations. If you made a mistake, own it, make it right. 2. Be honest. This needs no further explanation. 3. Service. Serving the needs of the client is my job. I take this seriously. 4. Communication. This is key to creating a positive experience in any situation. 5. Be on time. Punctual is professional. If something happens beyond your control, like a flat tire, be prepared so you can contact your clients and let them know that you are running late. 6. Equipment ready and maintained. Batteries need to be charged, cameras cleaned, cards formatted, …see #1, no excuses! 7. Back-up equipment. Have extra equipment with you on any shoot. It may not be the exact equipment that you intended to use but it’s something that you can use in a pinch. Equipment failure happens, so be prepared. As a professional, you need an alternative plan to fulfill your obligation to the client. 8. Workflow plan. This is essential to me so that things get done in a timely manner and aren’t forgotten. That is not to say it’s perfect but it definitely helps to keep on track when it’s super busy! I’m always making little adjustment to the plan to improve service and experience. 9. Customer is always right. Refer to #4 and #1. However, there can be a line here with a totally unreasonable client with unreasonable expectations, but always remain professional in your interactions. 10. Be positive. Find the positive. Negativity rubs off…don’t go there. 11. Education. Never stop learning! Never stop growing! 12. You are your business/brand. Be careful personally and professionally to send the right message to your clients. We all make mistakes. We are all human. In spite of the best planning, things can go wrong. Things happen that are beyond our control. But again, refer to #1 and #4. Talk to the client. Even when it’s not your fault, make it right with no excuses. It may cost you, but that is the cost of being professional and maintaining excellent service and client satisfaction. What is the cost of an unhappy client? Having said that, there may be a client that is totally unreasonable, but try killing them with kindness and consideration. Always try to change a negative to a positive. I don’t want to be just a photographer, I want to hold myself and my business to a higher standard and be a professional photographer. 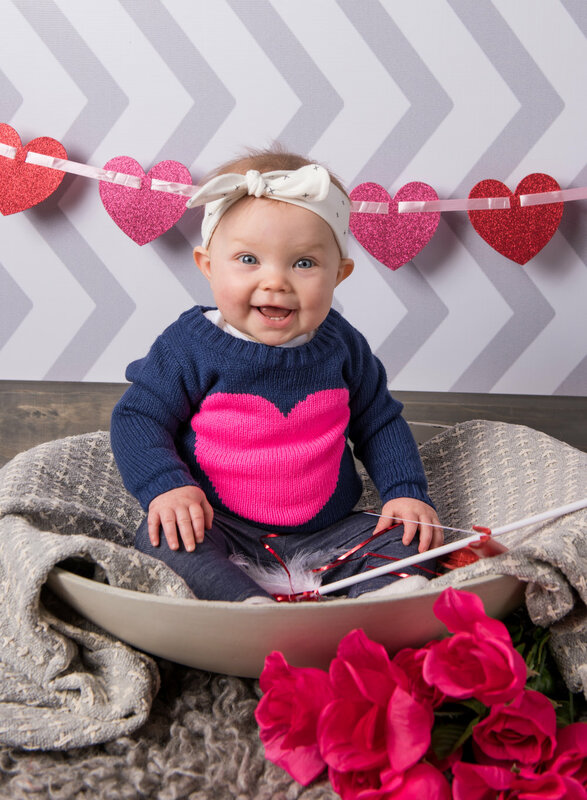 Love this little Valentine’s cutie below! Can’t wait to take her Valentine’s photos with her cute little brother next week. If you need Valentine’s photo for your cuties, I have a mini session special on Saturday, Jan 26 by appointment for $75 + tax and includes the digital files with a print release. Contact me to reserve your time! Thank you for taking time to read to the end!